When it comes to having bad credit, it might seem like your entire life is affected by it. Especially when it comes to buying one of the many used cars in Cincinnati. Even used dealerships might have a hard time financing you, which means you could end up at a buy here, pay here dealership or another type of subprime lender that specializes in bad credit. Regardless of which subprime lender you decide to go to, they are all likely to look at the same thing. Your credit score is one of the first things they check (obviously), but the dealer/lender will also look for proof of income and residency, as well as your debt to income ratio (DTI), payment to income ratio (PTI), and loan to value (LTV) ratio. The following provides a basic understanding of each metric and explores how to get a car loan in a pinch if you have bad credit. That way, you know what to expect when shopping for a car with bad credit. The primary reason you won’t be able to get a “standard” loan for the car you need is because your credit score is considered poor. While it varies from lender to lender, if you’re score is below 660, you’re considered a credit risk. So chances are, you’ll be going to a subprime lender like I mentioned earlier. If you find yourself in the subprime or deep subprime categories, you’ll end up looking for subprime auto lenders. If you’re sitting between 601 and 660 with with a nonprime score, then you might have a shot at going to a “standard” auto lender. However, as aforementioned, the ultimate decision varies from lender to lender. Therefore, don’t be surprised if you still end up looking for bad credit auto financing after approaching a few lenders. It’s not just your credit score the lender will consider. He or she will also take a look at your credit report to see if you have any substantial black marks or other issues on it. Bankruptcy, for example, is a black mark that will bring down your credit score — immensely — and seemingly forever; whereas, lesser black marks will fade quicker with time, such as a late payment. Regardless, your credit score isn’t the end of the world, given that subprime lenders will look at four more metrics. So, even if your credit score is abysmal, there is still hope. Why proof of income? Because this is how lenders judge the DTI, PTI, and LTV ratios (more on these in a second). For this, you might need things like a W-2, 1099, or even bank stubs. For those who might get paid primarily in cash, bring in bank statements to show that you’re depositing a steady amount into your account. Anything to show that you’re working, and have a reliable source of income. Things like a utility bill, rental agreement, or mortgage statement will provide proof of residency. This does two things for the lender: helps show that you’re financially stable enough to keep a home, and also provides a location to send the repo truck — if drastic measures need to be taken to protect the lender’s financial security. Chances are, the lender is going to want documents that are no more than 30 days old. There are a couple of other important points to realize. 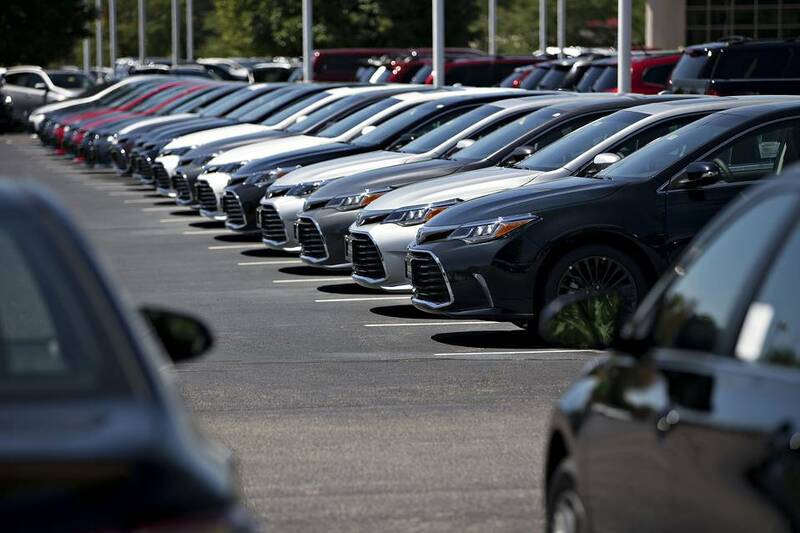 First, not all subprime auto lenders might need to see proof of income and residency. For example, a buy here, pay here dealership, which often accepts anyone, regardless of credit, might decide that proof of income or residency isn’t required. Or, that particular BHPH lender might decide one, or both, of them are. Again, it varies from lender to lender. Secondly, dealerships, banks, or any other lender you’re getting a subprime auto loan from needs this information for peace of mind. It’s not so they can track you down and trick you by doing a bait-and-switch with the repo truck. It’s so they can help protect their financial interests. It is a business transaction, after all. Nothing personal. Your debt-to-income ratio is simple to figure out, if you want to see it before applying for a bad credit auto loan. Simply add up your monthly expenses, and divide that by your gross monthly income. Why do they look at this? Because, your DTI ratio allows the lender to see if too much of your income is already budgeted towards other expenses. That way, they don’t approve you for a loan you can’t handle. The lender will add up monthly expenses and include an estimated car and insurance payment. As long as your DTI doesn’t exceed 50%, you should be in the clear for bad credit auto financing. For the payment-to-income ratio, the dealer takes your estimated monthly car and insurance payments and divides it by your monthly income. The reason for this is similar to the DTI ratio — the lender doesn’t want your prospective car and insurance payment to take up too much of your monthly income. It helps set an approval amount, and also ensures the consumer doesn’t buy something he or she can’t afford. As long as it doesn’t exceed 15-20% of your income, you’ll be fine. A loan-to-value ratio is weighed just as heavily as your DTI and PTI ratio when it comes to what subprime lenders examine. With the LTV ratio, the subprime lender is looking to minimize the risk for both you and themselves. What I mean by that is it’s another way to financially protect their investment — and understandably so. Here’s how it works: if the loan is higher than the vehicle’s value, the lender is taking a larger risk. Primarily because the loan is too big for you to handle. Meaning in the end, your car would get repo’d, and the lender would lose out on money. Therefore, this lender will be less likely to finance you. While this might prove to be an issue at a dealership that doesn’t specialize in bad credit, a bad credit car dealership that’s equipped to handle consumers with bad credit wouldn’t put you in a situation like this. A buy here, pay here dealership, for example, picks and chooses the cars on which you can get an auto loan, and takes care of almost the entire process behind closed doors. If you still can’t get a loan with bad credit, don’t worry. You have some options. First, buy here, pay here dealerships typically approve anyone, regardless of how bad your credit is. Go there if you’re feeling lost. Second, you could always get a co-signer if you’re in a pinch. Make sure the co-signer has good credit, and also make sure that you can afford to make the payments on time. If not, the co-signer will end up having to pay off your loan. That’s because when a co-signer backs your loan, he or she is essentially adding his or her own credit score to yours to give it a boost, therefore sharing the responsibility of the loan.